Lil Miss Collins joined our Mission to help provide access to “Clean Water for All by 2030”. This Mission was initiated by the United Nations. 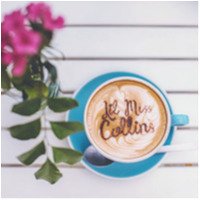 A big thank you to Lil Miss Collins’s team and customers for joining this extremely important mission on 01 March 2018. Lil Miss Collins is animal and child friendly cafe. There is child play set and animals. Their are organic, vegan & vegetarian meal options.